The Sheridan School District is pleased to announce that Sheridan will host the 2016 baseball and softball 6A state tournaments. The tournaments will be held May 12 – 14 at the Sheridan Recreation Center. According to Sheridan School District Superintendent Jerrod Williams, an estimated 3,000 to 4,000 visitors will come to Sheridan for the tournaments. For more information regarding the tournament or sponsorship, contact Matt Scarbrough, Director of Athletics for the Sheridan School District, at mattscarbrough@sheridanschools.org or 870-917-3135. 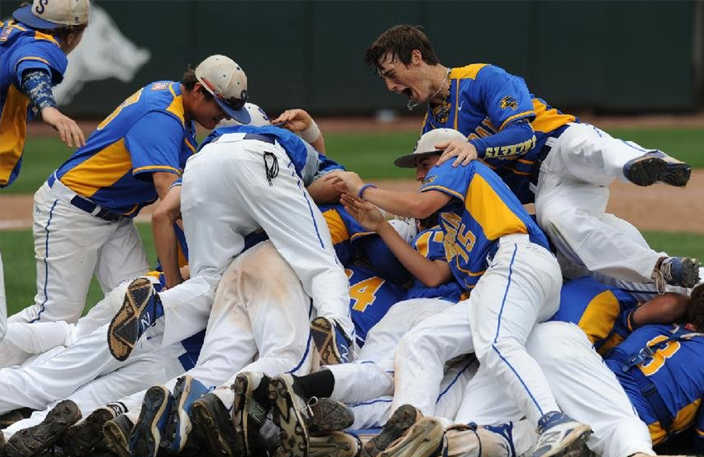 Picture Cutline: SHS Baseball Team celebrating after winning the 6A State Championship last year.